Do you know any children who love Star Wars? Why not add in some physical activity? 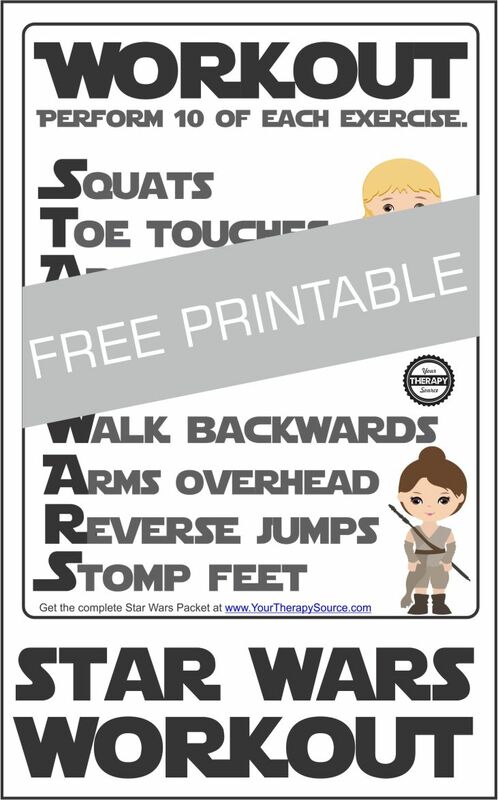 This is a great, fun, NO-PREP one page FREE printable to get your Star Wars Brain Break Workout started! Therefore, why not try adding brain breaks to your classroom routine and start off with this highly engaging Star Wars Brain Break Workout. 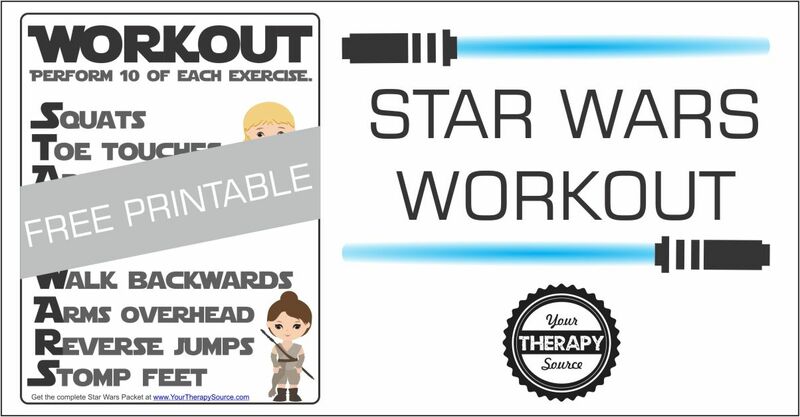 DOWNLOAD THE STAR WARS WORKOUT HERE. 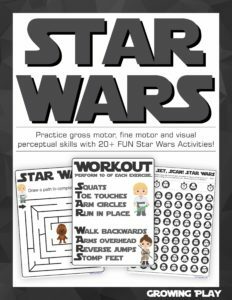 Get the complete Star Wars Sensory Motor digital download to practice fine motor, gross motor, and visual perpetual skills. Need to settle the class back down after a brain break? Breathing breaks can help to decrease stress, reduce anxiety, remain calm, strengthen sustained attention, sharpen the ability to learn and more! Find out more.